Showcasing the work of more than 200 women writers of African descent, this major international collection celebrates their contributions to literature and international culture. Twenty-five years ago, Margaret Busby’s groundbreaking anthology Daughters of Africa illuminated the ‘silent, forgotten, underrated voices of black women’ (The Washington Post). Published to international acclaim, it was hailed as ‘an extraordinary body of achievement… a vital document of lost history’ (The Sunday Times). New Daughters of Africa continues that mission for a new generation, bringing together a selection of overlooked artists of the past with fresh and vibrant voices that have emerged from across the globe in the past two decades, from Antigua to Zimbabwe and Angola to the USA. Key figures join popular contemporaries in paying tribute to the heritage that unites them. Each of the pieces in this remarkable collection demonstrates an uplifting sense of sisterhood, honours the strong links that endure from generation to generation, and addresses the common obstacles women writers of colour face as they negotiate issues of race, gender and class, and confront vital matters of independence, freedom and oppression. Custom, tradition, friendships, sisterhood, romance, sexuality, intersectional feminism, the politics of gender, race, and identity—all and more are explored in this glorious collection of work from over 200 writers. New Daughters of Africa spans a wealth of genres—autobiography, memoir, oral history, letters, diaries, short stories, novels, poetry, drama, humour, politics, journalism, essays and speeches—to demonstrate the diversity and remarkable literary achievements of black women who remain under-represented, and whose works continue to be under-rated, in world culture today. Featuring women across the diaspora, New Daughters of Africa illuminates the richness and cultural history of this original continent and its enduring influence, while reflecting our own lives and issues today. Bold and insightful, brilliant in its intimacy and universality, this essential volume honours the talents of African daughters and the inspiring legacy that connects them—and all of us. The collection... offers fascinating insights into the present. Busby opens the door wide and allows her readers to witness the conversations that have occurred between black women writers, conversations about culture, love, inheritance and more, without mediation from the powerful institutions of publishing and academia. The effect is marvellous. I’m just bowled over by the quality and breadth of contributions here but also the way they coalesce. This book has a heart and a sense of purpose and I think it’s fair to say it is important and so relevant for our times. Anyone interested in Africa, gender politics, good storytelling and writing that pushes the boundaries of the form will love this book. New Daughters of Africa brings together the work of a new generation of female writers of African descent… there’s no doubt that it magnificently achieves its aim of honouring a unified heritage while showing the remarkable range of creativity from the African diaspora. Jarrett-Macauley notes that Busby has turned “reading English into something global, explosive and urgent.” This is the joy and richness a reader will discover in this book: explosiveness, urgency, and a fantastic global literary encounter. New Daughters of Africa, compiled by Margaret Busby in a gargantuan editorial feat, showcases the creativity and achievements of contributors including Roxane Gay, Zadie Smith, and Diane Abbott. It is a behemoth of thought and reflection, exploring sisterhood, tradition, romance, race and identity – individually, and at large. The importance of the initial publication of Daughters of Africa cannot be overstated, and New Daughters of Africa is just as significant. 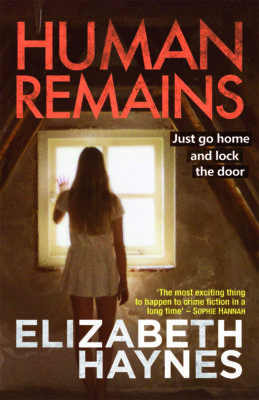 Naturally, it is our next Book of the Month. How could it not be? 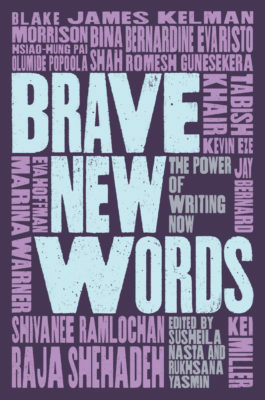 Each of the pieces in this remarkable collection demonstrates an uplifting sense of sisterhood, honours the strong links that endure from generation to generation, and addresses the common obstacles women writers of colour face as they negotiate issues of race, gender and class, and confront vital matters of independence, freedom and oppression. New Daughters of Africa illuminates the richness and cultural history of this original continent and its enduring influence, while reflecting our own lives and issues today. Bold and insightful, brilliant in its intimacy and universality, this essential volume honours the talents of African daughters and the inspiring legacy that connects them—and all of us. “Know you not that love, when firmly established, is priceless?”—Nana Asma’u, “Lamentation for ‘Aysha.’” I MET Margaret Busby in the 1980s just after her press (Allison & Busby) published three volumes of CLR James’s collected work (The Future in the Present (1977), Spheres of Existence (1980), and At the Rendezvous of Victory (1984). It was an exciting time for James scholars. The assembled pieces were important parts of James’s intellectual corpus. In 1992 Busby published Daughters of Africa in which she showcased the works of over two hundred black women writers from all parts of the Africana world. The Washington Post called it “ground-breaking” and said it illuminated the “silent, forgotten, underrated voices of black women” while the London Sunday Times hailed it as “an extra body of achievement…a vital body of lost history.” It played a formative role in the field of Black Women’s writing. 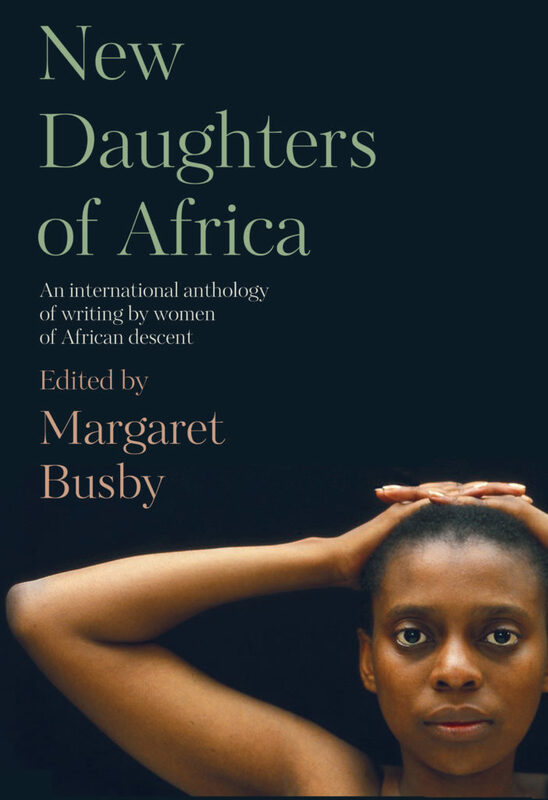 Twenty-six years later Busby is at it again, publishing New Daughters of Africa: An International Anthology of Writings by Women of African Descent. None of the writers from the earlier volume appear in this recent volume which the editor says “represents something of a fresh start.” It is an illuminating beginning-over-again; another milestone on the documentation of African women’s writings. Busby begins this remarkable volume with the work of Nana Asma’u (1793–1863), a revered figure in northern Nigeria, who spoke four languages. Asma’u “was an educated and independent Islamic woman who can be considered a precursor to modern feminism in Africa.” Then Busby turns to Sarah Parker Remond (1815–1894), an African-American writer who wanted “to be educated.” Remond was partly educated in England before migrating to Italy, where she studied medicine. 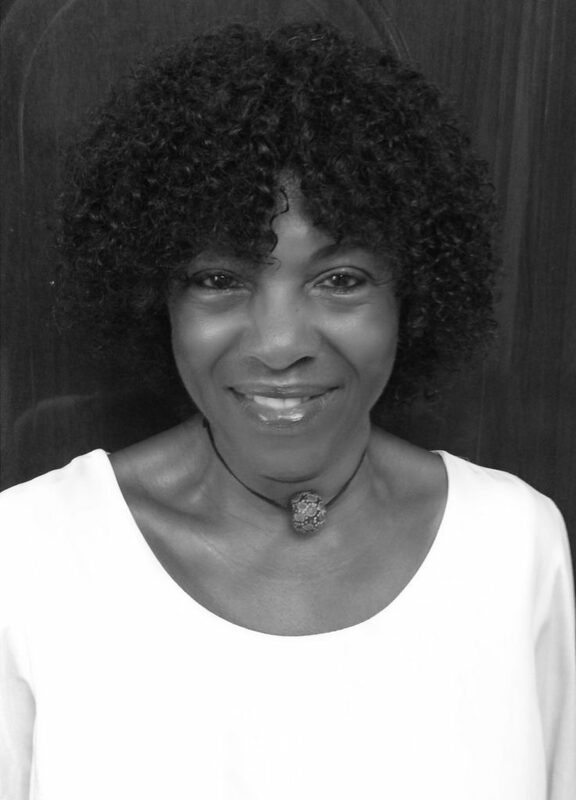 Delia Jarrett-Macauley, a Sierra Leonean, recounts Remond’s amazing story in “The Bedford Women” that is reproduced in Busby’s anthology. Remond’s work is followed with an excerpt from the autobiography of Elizabeth Keckley’s (1818–1907), Behind the Scenes: Or, Thirty Years a Slave and Four Years in the White House which tells of Keckley’s father snatched away from she and her mother by their slave master. They never saw her father again even though he wrote to her mother until he died. These early works provide the scaffolding for a later generation of writers such as Edwidge Danticat, Chimamanda Ngozi Adichie, Zadie Smith, Nawal El Saadawi, Claudia Rankine, and Marie NDiaye. I liked Danticat’s “Dawn After the Tempests” that uses Audre Lorde’s essay to interpret Grenada, and NDiaye’s melancholy story, “Three Strong Women,” about her selfishness and her husband’s sudden death, and Yolanda Arroyo Pizarro’s haunting but frighteningly mesmerising “Midwives (Fragments).” The anthology includes writers from about fifty countries. Trinidad and Tobago is well represented with selections from Elizabeth Nunez, Marina Salandy-Brown, Meta Davis Cumberbatch, Barbara Jenkins, and Lisa Allen-Agostini among others. Salandy-Brown’s “Lost Daughter of Africa” begins with the evocation of her ninety-seven-year-old mother, “Masa! Massa! Rua ina zua,” fragments of Hausa her mother remembered from the first seven years of her life in northern Nigeria. Listening to her grandmother’s fluent Hausa, Salandy-Brown revealed her amazement during that that strange, linguistic moment: “My uncle and his family, with whom she lived, were as amazed as I was by this new bit of history, by the acknowledgement, finally, that my grandmother had an African past.” Busby attempts to capture the “customs, tradition, friendships, mentor/mentee relationships, romance, sisterhood, inspiration, encouragement, sexuality, intersectional feminism, the politics of gender race and identity.” She takes particular joy in seeing Attillah Springer, a Trinidadian, “follow the pathway of her mother Eintou Pearl Springer, a contributor to Daughters of Africa,” a beautiful mother-daughter literary bonding. The longing for and recognition of African roots characterise the works of many of these writers. It also involves a search for self-awareness. Zadie Smith puts it best when, on receiving the Langston Hughes medal, she confessed: “I am so thankful that tonight it has stretched far enough to include a Black-British woman like me, a freckle-faced woman like me, a mixed-marriage woman like me, a green card holder like me, an immigrant like me, a second-generation Jamaican like me, a distant but not forgotten daughter of Africa.” This impulse to recapture and to reclaim Africa emanates from the rootsiness of an editor whose father was raised in Trinidad and settled in Ghana where Busby was born. After studying in London, she became Britain’s youngest and first black woman publisher. She remains a prolific African griot who is always doing book reviews and radio programs, writing articles and obituaries, and acting as a one-woman repository of black people’s writing. Two Wednesdays ago Busby and I met at the British Library just to reminisce and talk about her book. She was still at it. She had a cold, was on the verge of losing her voice but was still giving lectures and interviews to promote the writings of black people the world over. I was pleased that she attended my lecture at University College London about a month ago. There is no way I can do justice to this 800-page book in a 900-word article. It is a literary tour-de-force that must be read slowly and savoured. Much can be gained by reading the editor’s introduction carefully. It captures the lushness, the creativity, and the wondrous innovation of our Africana sisters. Jarrett-Macauley notes that Busby has turned “reading English into something global, explosive and urgent.” This is the joy and richness a reader will discover in this book: explosiveness, urgency, and a fantastic global literary encounter. Professor Cudjoe’s e-mail address is scudjoe@wellesley.edu. He can be reached @ProfessorCudjoe. In 1992, Margaret Busby compiled a pioneering work of literature by more than 200 women from Africa and the African Diaspora. The book clocked in at over 1000 pages of fiction, essays, poetry, drama, memoirs and children’s writing, and is widely regarded as an essential volume. This March, the month of Women’s History no less, Myriad Editions are set to release a follow-up: New Daughters of Africa. 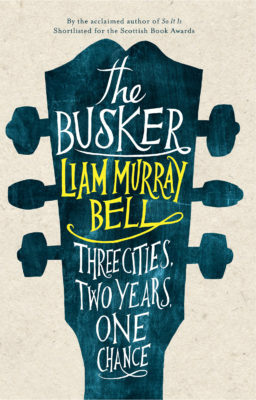 Naturally, it is our next Book of the Month. How could it not be? New Daughters of Africa, once again compiled by Margaret Busby in a gargantuan editorial feat, showcases the creativity and achievements of contributors including Roxane Gay, Zadie Smith, and Diane Abbott. It is a behemoth of thought and reflection, exploring sisterhood, tradition, romance, race and identity – individually, and at large. The importance of the initial publication of Daughters of Africa cannot be overstated, and New Daughters of Africa is just as significant. Last month Margaret Busby and Myriad Editions announced the £20,000 Margaret Busby New Daughters of Africa Award in celebration of the book’s publication and the significance of the contributors’ achievements. The award will cover tuition and accommodation costs for black, female students ordinarily resident in Africa to study at SOAS University of London.